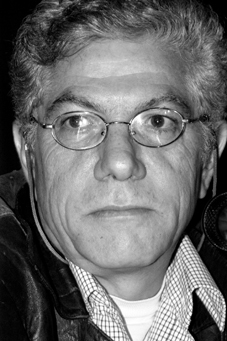 This stylist director of photography made his debut in the Iranian cinema about 40 years ago by taking still photos for a film made by his brother, Mohammad Zarrindast. His first work as director of photography was also in a film made by his brother. At that time, he cohabitated with Amir Naderi (famous Iranian filmmaker and director of The Runner who is now living in New York) for about two years when they wrote sequences for Adieu Friend (Naderi’s first feature, 1971) and Zarrindast used to shoot the scenes in his mind. The film was finally made in black and white with a handheld camera and was the first important film shot by Zarrindast. Over four decades, he has shot a collection of the most renowned Iranian films such as The Suitor (1972), The Tall Shadows of the Wind (1979), The Red Line (19981), The Cyclist (1985), Marriage of the Blessed (1988), Close-Up (1989) and Pari (1994). Zarrindast has been active in cinema and in addition to working with famous directors; he has been interested in cooperating with younger ones. He has introduced innovations and inventions in making cinematographic equipment which have been officially registered in his own name. In Close-Up, he is totally at service of the film and director and gets visual climate of the film close to simplicity of the storyline. The same realism has been repeated in Child of the Earth (Mohammad Ali Basheh Ahangar, 2008) which is about those who unearth the remains of the bodies of Iranian soldiers who were killed in war with Iraq. In the sequence when we see the bones of martyrs for the first time on the table, his camera makes a long and slow movement to reflect deep sorrow that the picture induces. His work in The Cyclist made Zarrindast a candidate for the best cinematography prize of the seventh Fajr Festival. He, however, won that prize from Rimini Festival in Italy. During the 11th edition of Harare Film Festival, he was given a prize as the best cinematographer for his work in The Quiet House (1992). Other prizes he has won include a Crystal Simorgh for the best cinematography in Pari from 13th Fajr International Film Festival and the best cinematographer’s prize for Cinderella during the sixth House of Cinema Celebration. Two years ago, Reza Darmishian made a documentary called The Wizard about Zarrindast in which a number of cinematographers and filmmakers have commented on his work.